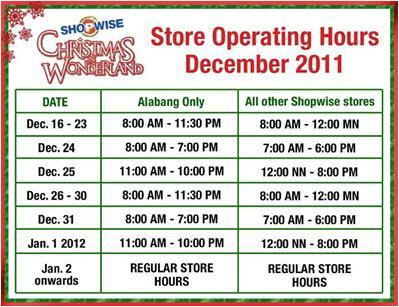 > SHOPWISE BIG SALE UP TO 70% OFF December 26 to 31, 2011. SHOPWISE BIG SALE UP TO 70% OFF December 26 to 31, 2011. 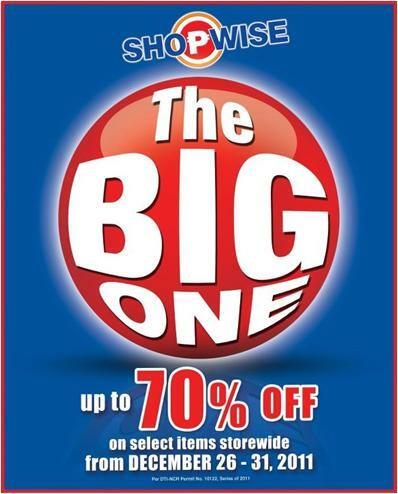 Shopwise The BIG One Sale is from December 26 to 31, 2011. Enjoy up to 70% OFF on selected items.